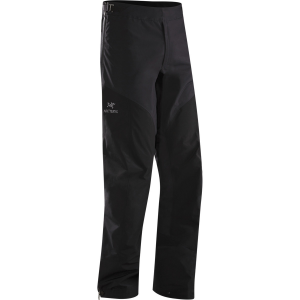 Visit Sierra Designs's Men's	Hurricane HP Pant page. 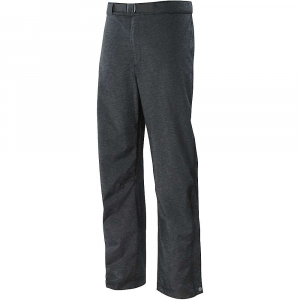 Although not necessarily one of the ten essentials, the Sierra Designs Hurricane Pants for men offer essential rain protection in foul weather. 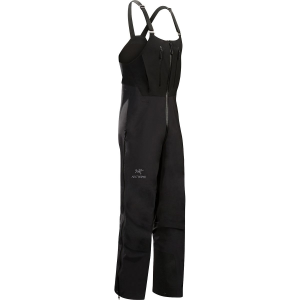 These waterproof and breathable pants are affordable and ready to slip on at the first hint of rain. They'll layer over your hiking or cycling clothes, and the 12-inch ankle zippers facilitate transitions without removing shoes. Their simple design keeps them lightweight, yet they still offer full-taped seams, a drawstring waist and a zippered cargo pocket. 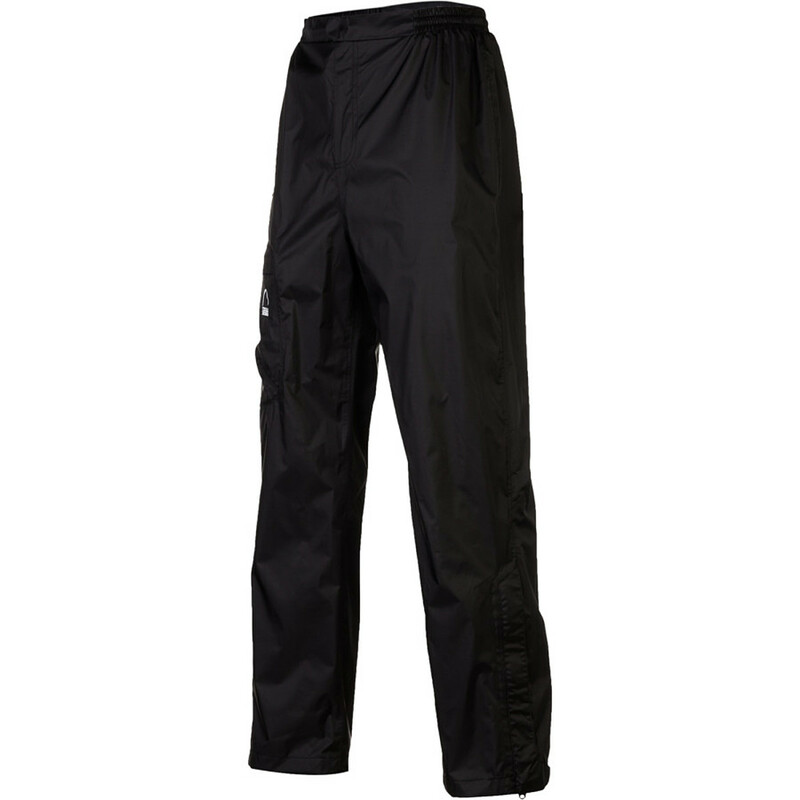 Articulated knees enhance mobility, and whether you're packing the Sierra Designs Hurricane Pants as emergency rain gear or plan to wear them to get out when the weather is less than stellar, they sure to deliver all-around lightweight rain protection. You won't notice the high-performance SD Hurricane pants when they're stashed in your pack, but they sure will come in handy when that distant thunder becomes a constant downpour. 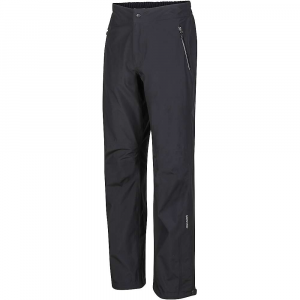 Prepare for the inevitable afternoon thunderstorms during your next backpacking or hiking trip in the mountains with the Sierra Designs Men's Hurricane HP Pant. A solvent-free laminate and fully taped seams provide durable water resistance and breathability for blocking brief showers and light drizzles. An elastic drawcord waist keeps the pant snug, and 12-inch ankle zips let you change in and out without taking off your boots. When the sky clears, the Hurricane packs up into its side cargo pocket to get you back on the trail. Peace of mind-the Hurricane(TM) Pant gives its wearer just that, with seam-sealed waterproof/breathable protection, DWR, articulated knees, and a cargo pocket for stowing. Fully Taped PVC-Free Seams. Pant Stuffs into Pocket. 12" Ankle Zipper with Storm Flap and Hook & Loop Closure. Elastic Waistband with Internal Drawcord Adjustment. Articulated Knees. Inseam Length: 31 in. / 78.7 cm. Weight: 7 oz. / 198 g (Large). Waterproof: 5,000 mm. Breathability: 5,000 g/m2. Shell Fabric: Hurricane. Washing/Care Instructions: Hand wash or use front-load washer only (no agitator). Use synthetic fabric soaps found at outdoor specialty locations. Do not use fabric softeners or bleach. Hang dry away from heat. Do not iron. 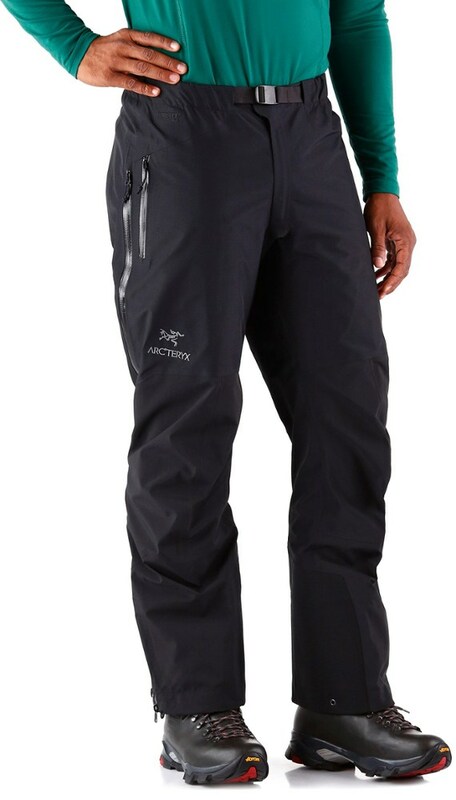 The Sierra Designs Hurricane HP Pant is not available from the stores we monitor. It was last seen June 24, 2015	at REI.